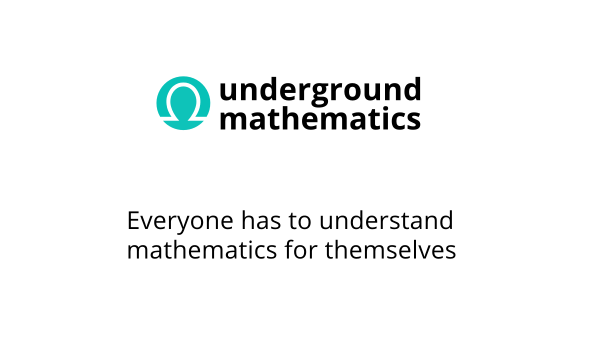 Underground Mathematics provides free web-based resources that support the teaching and learning of post-16 mathematics. It was funded by a grant from the UK Department for Education and based at the University of Cambridge. It is now hosted by NRICH, also based at the University of Cambridge. We aim to help make post-16 mathematics a richer, more coherent and more stimulating experience for students and teachers alike. Underground Mathematics started in 2012 as the Cambridge Mathematics Education Project (CMEP). From 2013 to 2016, partner school teachers trialled resources from the pilot site and shared their experience of using the resources in the classroom. This culminated in the release in February 2016 of the current website, which is open to all. Our work is informed by the following beliefs about mathematics and mathematics education. Mathematics is a worthwhile, interesting, human activity. Everyone should have the opportunity to be mathematical and to succeed mathematically. Intelligence and ability are not fixed: we can all develop our skills and understanding in many ways. A key activity is to grapple with problems that one does not yet know how to solve and exchanging questions and ideas is a valuable aspect of working mathematically. We can learn much by studying our mistakes and misconceptions and by understanding that there are many ways to be mathematical. We have developed resources, many of which are low-threshold high-ceiling, and combine solving problems, mathematical reasoning and fluency. We believe that it is important that all students should work on resources of this type, not just those who already achieve highly or who may be planning to study mathematics at higher levels. We hope the resources will encourage all students to talk mathematically to each other and reflect on their own understanding. help students to develop resilience, flexibility and creativity. We have worked hard to ensure the tubemap emphasises the connectedness of mathematics. It is designed to organise and connect mathematics in a way that makes sense from a mathematical point of view, and is not tied to any syllabus, while still covering the content of A level mathematics. It also doesn't place a strong emphasis of doing one topic before another. Our resources are carefully designed in line with our philosopy, as described above. The detailed teacher support on our 'Resources in action' page helps to show how students' mathematical thinking might develop as a result of the resource design and the use of the resource by the teacher. The website is designed to make it easy to navigate to resources whilst emphasising the connections between them. Please see 'About the website' for more details, including technical details of how the resources are written. The following people have contributed to Underground Mathematics during its lifetime. Martin is a Professor in Mathematical Logic in the Department of Pure Mathematics and Mathematical Statistics at the University of Cambridge, and a Fellow of King’s College, Cambridge. He has a long-standing interest in many aspects of mathematics education. Lynne is the Director of Cambridge Mathematics which is a partnership between four departments of the university; CUP, Cambridge Assessment, and the Maths and Education faculties. Lynne has a wide variety of experience in mathematics education and was formerly the Director of NRICH. Helping to create the moments when a student understands is one of Anna’s favourite parts of teaching. The insight students gain, and the enthusiasm it brings is what fostered her interest in finding, using, and developing rich lessons that allow this to occur. Being involved in a project that can help create these moments in many different classrooms is why she was so excited to join the Underground Mathematics team in early 2015. Anna's route to Cambridge started in Durham, where she taught at a comprehensive school, before spending several years in international education in Singapore. She took the long way home, travelling around the world including a month teaching in South Africa, and feels that all these varied experiences have helped inform her beliefs and ideas about mathematics education. Nathan was a resource designer for Underground Mathematics and is a secondary mathematics teacher with an emphasis on Key Stage 5. He has also been a tutor for a series of FMSP problem solving classes. Nathan studied Mathematics at Durham University and went on to do a PhD in Pure Mathematics at Newcastle University before completing his PGCE in Secondary Mathematics at the University of Cambridge. Nathan is also an active mathematical researcher in algebra. Paul studied Theoretical Physics at the University of Cambridge and worked as a software engineer for a number of years before moving into education. After his PGCE in Secondary Mathematics Paul brought this practical experience to bear in his teaching of mathematics in a sixth form college with practical activities and demonstrations, particularly of applied topics. Paul enjoys bringing out the salient points of mathematical problems. In addition to designing and writing resources for Underground Mathematics, Paul managed the work of our student contributors and helped with technical website issues. Kathryn worked for Underground Mathematics as a consultant resource designer. She has taught in comprehensive schools, lately with a focus on Key Stage 5. Most notably during her time in the classroom, she led the establishment of the mathematics provision in a new sixth form. Kathryn studied Mathematics at the University of Cambridge before completing her PGCE in Secondary Mathematics. Marianne is one of the Editors of Plus magazine, part of the Millennium Mathematics Project. Before joining Plus, she was a maths researcher working in complex dynamics, the area of pure maths that has given us the Mandelbrot set. In the world of maths communication she has edited and written popular maths books and websites. Julian taught secondary mathematics for ten years before joining Underground Mathematics. He is interested in the development of exam questions over the years, and has been very involved in this aspect of the Underground Mathematics site. As well as having designed resources for the site, Julian also mentors students through the UKMT mentoring scheme, teaches at a mathematics summer camp, and writes exam questions for BMAT and other university entrance tests. He is also a director of studies at Jesus College Cambridge, where he takes a particular interest in school-university transition. As part of the Underground Mathematics team Tabitha had a focus on the Key Stage 4/5 interface and is interested in improving the links between physics and mathematics at Key Stage 5. She studied Natural Sciences at the University of Cambridge before completing her PGCE in Secondary Mathematics. Tabitha taught mathematics for six years, and played an enthusiastic role promoting the value of mixed ability teaching and the use of rich, stimulating tasks in mathematics. Steve was the Post-16 Coordinator at NRICH, and was involved in Underground Mathematics from its inception until summer 2013. Lizzie taught secondary mathematics for seven years with a focus on sixth form mathematics. In 2010, she was seconded as a Nuffield Foundation Education Fellow and worked on a number of curriculum projects. As well as having designed resources for Underground Mathematics, Lizzie worked on a research project to develop detailed teacher notes and videos to support implementation in the classroom. Lizzie has been involved in mathematics outreach for several years. She was Director of the UKMT Summer School for Girls, 2013-2015, and continues to volunteer for the UKMT and other organisations. Vicky was a Senior Teaching Associate in the Department of Pure Mathematics and Mathematical Statistics at the University of Cambridge, and was a Fellow and Director of Studies in Mathematics at Murray Edwards College, Cambridge. She worked on the structure and content of the Underground Mathematics website from the start of the project until July 2014. Rachel is one of the Editors of Plus magazine magazine, part of the Millennium Mathematics Project. Before joining Plus, she was a maths consultant to business, government and industry and has recently designed mathematical walking tours with Maths in the City and written popular maths books. 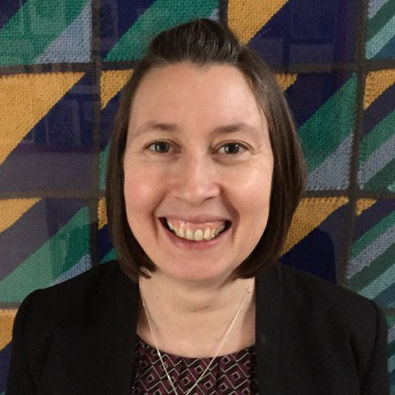 As well as having designed and edited resources for Underground Mathematics, Katie is course team leader for A level Use of Mathematics, which she teaches, along with A level Further Mathematics, at Long Road Sixth Form College. Katie also currently sits on an advisory board for a Core Maths qualification, tutors Key Stage 3 maths and has contributed to primary school maths enrichment activities. Varuna has been teaching Mathematics for twenty years including nine years as Head of Mathematics. During this time she particularly encouraged pupils to enjoy and explore mathematics, which led to a significant uptake of mathematics at A level. She combined her work with Underground Mathematics with classroom teaching in Fortismere School. Jonny taught mathematics in sixth form colleges for over 25 years. He was a Gatsby Teacher Fellow for 2005-6 and is the author of the popular mathematics websites Risps, Making Statistics Vital, and Carom. Jonny studied Mathematics at the University of Cambridge and has a Masters by Research from University of East Anglia. Jonny worked as an editor of the Underground Mathematics review questions. Yi was the lead researcher on the evaluation team at Underground Mathematics. Yi is also a Royal Society Ogden Education Research Fellow in the Faculty of Education at the University of Cambridge, and is a Fellow at Clare Hall, Cambridge. Her research interest lies in STEM (Science, Technology, Engineering, Mathematics) enrichment and she has a long history of working in the evaluation of STEM projects. Tatiana was a research assistant with the evaluation team. She has taught in both primary and secondary schools and worked with education NGOs and government and state ministries on issues of access and equity in education. Tatiana received her MPhil in Politics, Development and Democratic Education from the University of Cambridge. She is thrilled to contribute to Underground Mathematics' mission of empowering every student to meaningfully and beautifully engage with mathematics. Sharon was a research assistant working in the evaluation team. She has a background in primary education and a Masters in Gender, Education and International Development. More recently she has worked in research and policy roles in the charity sector and writing teaching resources for publishing companies. Her research interest lies in equality issues in educational research and policy. Alvin was an evaluation assistant with the evaluation team. He is a Cambridge Trust scholar now reading a PhD in sociology and education at the University of Cambridge, where he also received his MPhil. He previously worked as a journalist and high school teacher. His academic interests lie in discourses on nationality and citizenship in British educational policies, as well as post-colonialism in educational contexts. C.J. was an eager evaluation assistant for the evaluation team; he formerly taught in a secondary school in his native New Jersey (USA). He earned his MPhil from the University of Cambridge and is now working towards completing his PhD in education. The focus of his research is teacher education and how teachers’ beliefs about knowledge, teaching, and learning evolve. He is passionate about promoting deep understandings in students. Andrew worked in the evaluation team, assisting with classroom observations and contributing to the analysis and processing of research data. He has a BSc in mathematics and is interested in probability and statistics. He is keen to promote creative and exploratory thinking in mathematics education to students of all abilities. He is also enthusiastic about innovative materials and approaches that facilitate dialogue among students through involvement in solving mathematical problems. Mike was the technical lead for Underground Mathematics until 2016, and is the head of the Technical Department at NRICH and Understanding Uncertainty. Mike is a former mathematics teacher and his main interest is educational interactivities and animations. Owen Smith looks after the Underground Mathematics server, and is also the Unix Systems Admin for NRICH. Ben was the main web developer for the Underground Mathematics website. He has a degree in mathematics from Cambridge and a DPhil in mathematics from Oxford. He has been interested in web and software development for many years and enjoys creating things that people can use. Martha was the Administrator for Underground Mathematics until 2016. She has a degree in Electrical and Electronic Engineering and worked in research for the Ministry of Defence before teaching secondary school mathematics for five years. Martha is mostly concerned with helping the project to run smoothly for all involved, and always enjoys speaking to our teachers about their teaching experiences. Dawn was the administrator for the project from 2016-2017, ensuring everything runs smoothly, acting as support to the team and coordinating the project's events. Her background is in music, media and social science and has a Masters in Social Research, but has worked as an administrator and in events for over 10 years. She is proud to support the team in their mission to help teachers improve the experience of all students of post-16 mathematics. Julia is the Deputy Director of the Millennium Mathematics Project. She has 15 years experience in building relationships between the University, schools and the wider educational community, both in the Mathematics Faculty and through a secondment as Head of Widening Participation in the Cambridge Admissions Office. Her previous experience includes teaching in secondary schools, and she has been a governor of two schools. In addition to those mentioned above, the following people have all made contributions to Underground Mathematics for which we are very grateful. Our Champions were teachers who volunteered to help promote the Underground Mathematics resources and philosophy in their spare time. Rob gained a BSc degree in mathematics before moving to London to pursue a career in teaching. He is now working towards an MA in mathematics education at UCL and is team member of the mathematics magazine, Chalkdust. He is passionate about mathematics education and research, as well as promoting deeper mathematical understanding for students through the use of rich tasks. Hannah studied Mathematics with Business and Management at The University of Manchester before completing her PGCE in Secondary Mathematics at the University of Bristol. She taught in a secondary school for two years but soon moved on to a sixth form to focus on level 3 mathematics. Hannah is coordinator for Level 3 Core Maths, along with teaching A level Mathematics and Further Mathematics, at King Edward VI College. Susie teaches at Bosworth Academy in Leicestershire, where she is in charge of post-16 mathematics. She has loved being involved with Underground Mathematics over the past few years, and witnessing the conversations and depth of mathematical thinking that the resources encourage. She is thrilled to be a part of the Champions programme. Yvonne lives and works in Berkshire although originally from Scotland and has worked in a mix of Grammar and Comprehensive schools - all very different. She has been a Head of Department in the past and is currently a Lead Practitioner. She loves a challenge especially anything that might involve a bit of endurance - including Maths! She loves knitting and a few years ago she got her Maths Department and some parents to knit squares to represent the numbers 1 - 100 where the number of colours in the square represented the number of factors for a particular number. Heidi Steele teaches at Sir Isaac Newton Sixth Form in Norwich. She has been teaching in Norfolk for 7 years. Heidi also run the Norfolk and Suffolk Maths Hub helping improve maths education for all ages in her region. As part of the Maths Hub programme Heidi is also part of a team focusing on the work the Maths Hubs do on Level 3 maths qualifications. Heidi is an accredited Advanced Mathematics PD Lead running CPD for schools in her area on post-16 mathematics. Becky is a Maths teacher enjoying living the dream in sunny Dorset. She gained Advanced Skills Teacher accreditation in 2011 and specialises in personalising professional learning opportunities for colleagues. Her MEd from Cambridge in 2009 taught her that collaboration across schools and with universities can be a very powerful experience. Becky’s students learn a lot of mathematics, but also learn to value the struggle and the journey. Colleen has been involved in Education, Training and Assessment throughout her career, specialising in Mathematics and IT. She recalls a passion for Mathematics from a very young age. As a Deputy Head Teacher at Newstead Wood School, her whole school responsibilities include Teaching and Learning. Colleen has a keen interest in how students learn and in the current research on Cognitive Science. She uses technology to enhance the learning experience in Mathematics. Colleen enjoys collaborating with students and fellow educators. She is the author of Mathematics, Learning and Technology, a blog which she updates regularly with ideas and resources for the Mathematics classroom. We are delighted to have worked with the following partner schools. Teachers from these schools have attended residential workshops in Cambridge, given feedback on the pilot site and shared their experiences of using the resources in their classrooms. The schools in italics are our inner circle schools. Underground Mathematics exists for the benefit of you and your students. By setting up a login you will be able to add resources to your resource collection, add notes and group them. You might want to register for the NRICH newsletter which will feature relevant news and CPD opportunities. We welcome all enquiries including feedback on how we can improve Underground Mathematics. We are deeply grateful to the UK Department for Education for instigating and funding this project, and to NRICH for agreeing to host the site after the funding ended. We would also like to thank the many other people and organisations who have supported or contributed to the project. We have received valuable feedback and support from many individuals and organisations, including our partner school teachers, Champions, project advisors and correspondents from higher education. We are also grateful to our MEI partners who worked with us to develop and run the Underground Mathematics professional development days for teachers. We gratefully acknowledge the support offered throughout this project by colleagues at the Millennium Mathematics Project and the Faculties of Mathematics and Education at the University of Cambridge.